After the tumultuous year that was 2016, 2017 had a lot to live up to in terms of world events and high-calibre, in-depth, photo-based reportage. But as the shellshock from the US election slowly faded, the now-standard array of regular world catastrophes continued to guide photojournalists’ lenses. But at the same time, some of the industry’s best pushed the limits of editorial storytelling. Sam Edmonds reports. near Broken Hill, NSW on Jan. 4, 2017. Shot for The New York Times. 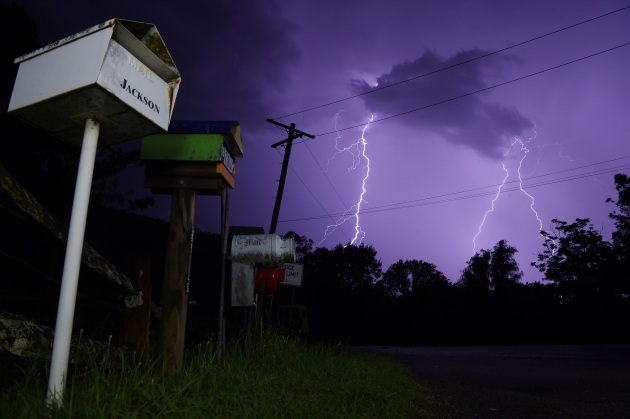 Sometime around mid-July 2017, a number of the world’s most noteworthy photographers, seemingly in chorus, took to social media in praise of a story in The New York Times – a story told in Australia by an Australian photographer. Photographers like Peter van Agtmael and a plethora of others were celebrating Adam Ferguson’s personal pilgrimage and photo-documentation of a several thousand kilometre drive to the heart of his home country. Breaking a number of readership records for the Times, the series takes the reader on a whirlwind tour of those parts of our country so often at the extreme periphery of both the world and Australians alike. And for those who saw the resulting images, the series seemed to provide a breath of fresh air in an industry presently grappling with a number of its own shortcomings. But not all is well and good on the home front, as journalistic departments around the country, both visual and otherwise, continued to suffer with amalgamations and funding cuts. 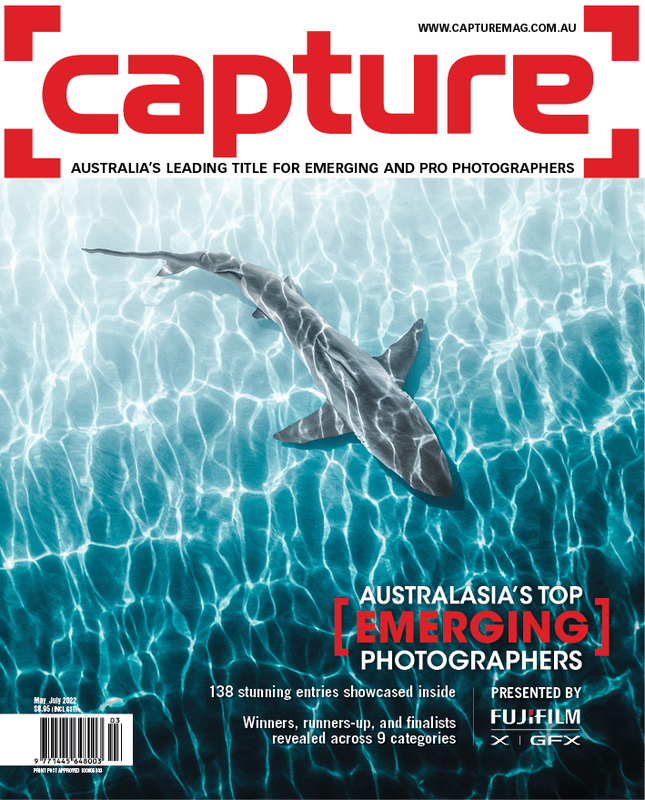 At once in 2017, the world celebrated Australia’s photographic prowess while many local photographers faced the threat of a dwindling investment in quality journalism. 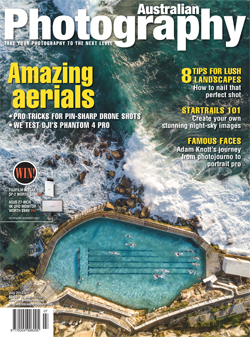 But on other editorial fronts, several of Australia’s most successful portraiture and fashion photographers are realising new realms within their practice, and a handful of Aussie sports photographers are thriving on the world stage. In a sea of the politics and ideology informing it, editorial photography is white knuckled and holding on for the ride in 2017, and this made for compelling imagery across the board. In August of this year, a somewhat confronting quote from Donald Weber appeared in the British Journal of Photography: “I’ve just about had enough of photojournalism,” he said – going on to pinpoint “an almost complete lack of self-awareness” as the cause. While such criticism is always a little tough to digest, this might also serve to highlight one of the reasons for the incredibly wide acclaim among his peers of Adam Ferguson’s Through the Outback. Appearing in The New York Times in July, the essay was the result of a solo road trip by Ferguson into the remote expanses of outback that most Australian city-dwellers rarely see. From burned landscapes to kangaroo hunters, remote indigenous communities and crocodile farms, the series speaks of several themes covering identity, youth, socioeconomics, and our relationship with the land. But importantly, the essay, which was both photographed and written by Ferguson, was a personal journey for a Coffs Harbour-born, coastal Australian. Having made a name for himself covering conflict in Iraq, Ferguson has gone on to great success within the industry, and, in typical photojournalist form, has been obligated to turn his back on his home country for large swaths of time. So in many ways, the project was Ferguson’s re-discovery of his home, and was perhaps so upheld by his peers as a shining exemplar of contemporary work due to the fact that the undercurrent of Australian self-awareness is acutely present across the body of work. 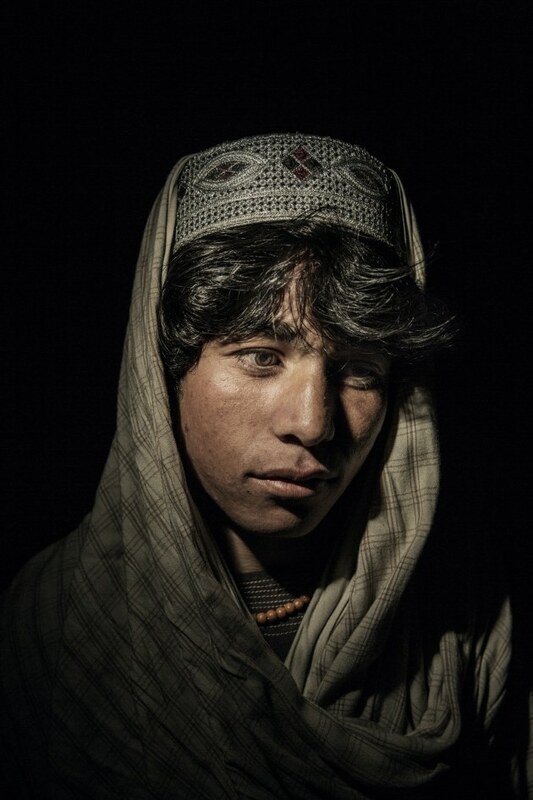 Helmand Province, stands for a portrait at a camp for IDP in Kabul, Afghanistan. Surprisingly, this story was the first that Ferguson has pitched to The New York Times – a process that came with its own sense of both responsibility and ownership. But in approaching the publication, he says that “they didn’t just let me go and run around Australia with my camera, so I was pretty clear that I wanted this to be a kind of critique of regional identity and a look at the Outback”, but also stipulated that “this was going to be a personal journey.” Needless to say, the Times responded well and allowed Ferguson six weeks and an open itinerary – something virtually unprecedented for assignment parameters set out by a publication of the Times’ size. While Ferguson and the team essentially broke new ground in simply their allocation of such a large amount of time for an editorial assignment, the real innovation came in the weeks and months following Ferguson’s time on the ground in Australia. From his new home in New York City and the offices of the Times, Ferguson and photo editors David Furst and Craig Allen essentially re-wrote the handbook for editorial publication workflows as the trio plus an in-house Times designer implemented not only a custom-built web page for the story, but also a staggering 16-page section in the print version of the paper. “It was actually the largest photo spread that the Times has ever done, which was pretty extraordinary,” says Ferguson. Perhaps, in almost picture-perfect antidote to Weber’s concerns, the brilliance of the essay would seem to come from Ferguson’s acute awareness of not only the cultural facets of his subjects and his surroundings, but also his own MO as a photojournalist returning to his homeland, and what some are calling his magnum opus, which has come at the peak of his photographic career. © Michele Aboud. Cate Blanchett for United Airlines. Makeup – Liz Welsh. Hair stylist –Kieren. Stylist – Alice Babidge. Welcoming Mridula Amin, Sinead Kennedy, and Ella Rubeli as the inaugural interns, Moir is optimistic that both the talent and the number of applicants for this year’s mentor program is a positive sign of a continued Australian institution in documentary photography. And as he describes, the immediate future looks good for the group that now boasts a spectrum of ages and technical abilities encompassing virtual reality and design practices. © Cameron Spencer. 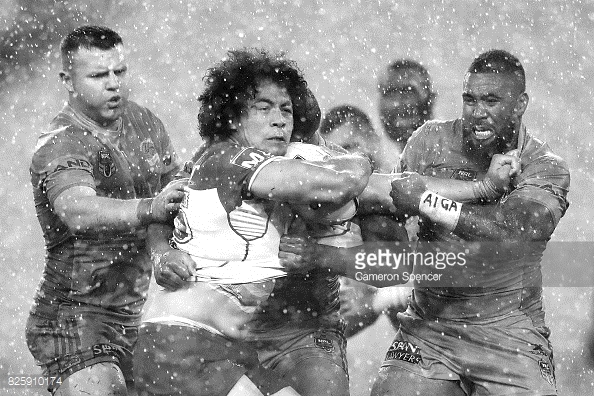 Raymond Faitala of the Bulldogs is tackled during the round 22 NRL match between the Canterbury Bulldogs and the Parramatta Eels at ANZ Stadium on August 3, 2017 in Sydney, Australia. 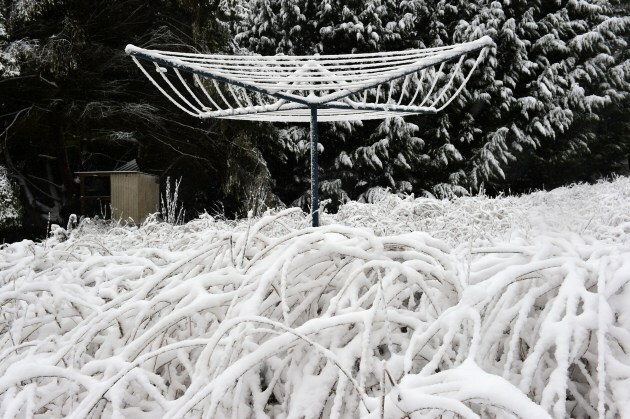 Snow covers blackberry and a clothes line at Black Springs in the NSW Central Tablelands. Winter, 2015. Between press photography, documentary, and sport, many differences may appear obvious as to the state of each discipline and the external influences upon their operation, but one aspect that escapes no genre of photography is the precarious nature of its audience. And this was perhaps no more true than for fashion and portrait photography in 2017. Often at the centre of photographic controversies and whispered criticisms over time, fashion photography especially has been punctuated with events that most would prefer simply to forget. And at a time when political correctness is at its peak of sensitivity, fashion is treading on egg shells more than ever. This was noted quite prominently by Laurence Butet-Roch in her article for The New York Times Lens blog in August of this year that considered current fashion photography as a political reflection of society. But what contribution have Australians made to this? And given our seemingly disproportionate political voice on the world stage, how are our fashion photographers reflecting Australian society in 2017? © Michele Aboud. Dion Horstmans, Sculptor. From Australian odysseys to technology, fashion and everything in between, the year of 2017 has proved just as turbulent for editorial photography as the few years prior. While photojournalism continues to grapple with some of its own vices and seasoned press photographers struggle to scrape a living in the face of funding cuts to photo departments, our obsession with sport continues, along with even larger camera sensors. But there is hope in other arenas. Australia’s beacon of visual documentary practice, Oculi continues to provide safe refuge for our journalistic prodigies, and some of the country’s most talented expats from both photojournalism and fashion photography alike are returning to our shores for some kind of reflection or another. 2018 has much in store for editorial photography. often quirky letterboxes. January, 2017.